The biggest likelihood that studying at School X will provide the experience they want and help them to achieve their goals. For this, they will be checking out, as Noel-Levitz puts it, “… solid post-graduate and outcomes information to reinforce the strengths and benefits of academic offerings.” In other words, they want to see strong indicators that their considerable educational investment of time and resources will be well worth it. And, one of the most effective ways for an institution to prove it is a worthy choice and a catalyst for success is the effective use of student testimonials. Student testimonials move students beyond the institutional message – which is, on its own, a claim, no matter how elegant and well done – to more authentic, real-life evidence of the experience students have had at your institution and the extent to which it helped them to achieve their goals. Moreover, this movement is a movement toward conversion – toward the student being convinced enough to apply or enroll. Today’s ICEF Monitor post will look at the importance of student testimonials and examples of good practice, including visuals and videos. Study Brisbane’s Student Ambassadors Programme profiles international students in the city and features links to student blogs that further illustrate the students’ experience in Brisbane. Prospective students can also connect with Ambassadors via social media. This idea of multiple narratives is the reason student testimonials are so integral to the overall marketing effort. Imagine anything expensive we might consider buying … let’s say it’s a new car. If we were looking to buy a new car, which of the following activities would we conduct to make our decision? The answer for virtually everyone would be, all of the above. This is what is meant by “multiple narratives”, and the notion is just as applicable to any other high-involvement decision, including – perhaps especially – where to study. Expensive investments require more “narratives” than cheaper ones; they require more voices, sources of information, and indicators of successful outcomes. Add to that the investment of time students are making – which adds still more importance to the decision being the right one – and this becomes even truer. Royal Roads University’s Inspiring Connections campaign features alumni testimonials but also an opportunity for prospective students to connect directly with individual alumni via “LinkedIn-style networking”. In the video shown here, an alumna participates directly in a highly interactive testimonial display, which is well worth watching, especially for the shock factor. Student goes on to become important person in chosen career (proof investment was the right one, prospective student feels sense of calm and resolution). A simple, but effective, presentation of testimonials from students of different nationalities from Fusion English. When you commission testimonials and make them easy for people to find, it cuts down the impulse of prospective students who – lacking institution-enabled student testimonials – will go hunting for them wherever they can, from whatever sources, including places where disgruntled students post impulsive negative comments and stories about their experience. Bad press or bad reviews will be out there, and testimonials from happy students are a very good way to minimise their potential damage. 1. Look over the narratives (aka stories or messages) your institution is currently providing prospective students (i.e., via the website, brochures, etc.). Are there any testimonials? If there are, are they good, or are they boring, too polished (and thus not authentic-feeling), or out of date? 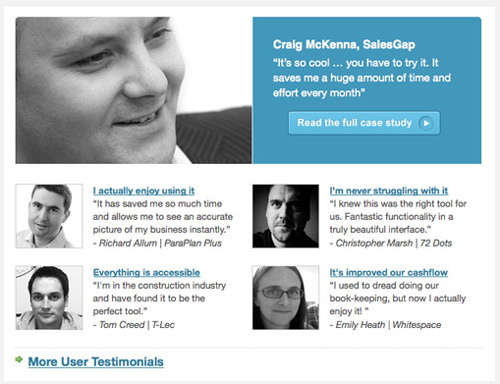 See what should be replaced and see where there is room to add effective testimonials. 2. Establish student profiles and match testimonial selection to them. What kind of students are you trying to attract? Just one target market, or several with different needs, challenges, and profiles? Make a list of their profiles and understand that you’ll want to have testimonials from students that speak directly to them. For example, for a mature student audience, you’ll want mature students to provide testimonials about how your programmes changed their lives. Show the premises of your school. How they have achieved their goals. 5. Plan out your production and distribution strategy. Aim for some written testimonials and some video testimonials, and make sure the latter are optimised for mobile viewing and are ideally under five minutes. 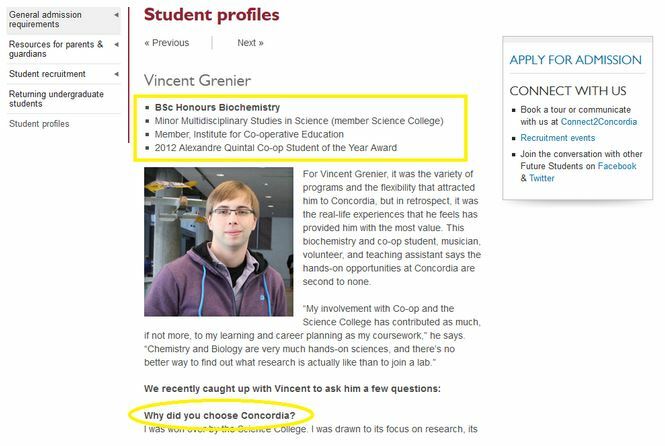 On the institutional website, aim to sprinkle testimonials through various sections – reserving consistent space for them on certain pages (e.g., one on the homepage, one on programme landing pages, one on a “conversion” page such as Contact or To Apply) and allotting a dedicated section just for them (e.g., Student Testimonials, What Students Say, In Students’ Own Words, etc.) The main thing is to place them thoughtfully. The most important function of testimonials is that they add credibility and authenticity to the institutional message. At the same time, you will want to feature fairly articulate and successful students, so there is some balance to be struck. Choose students carefully for testimonials. They should be people with whom prospective students can relate to and aspire to emulate. Choose testimonials (from the many you will gather) that reinforce the messages and core advantages the institution is also communicating itself – as long as they do not sound too “salesy” or contrived. Edit video and written testimonials to make sure the most compelling content shines and the boring bits and pauses are cut out. Encourage students to speak/write in specifics rather than in general terms. Why did this programme work for them – what was the most important reason it helped them achieve their goals? Here’s a nice example from Edinburgh Business School of a video testimonial geared to international students requiring a flexible programme. It features several students talking about their experience, and they speak articulately but not in an overly rehearsed way. Institutional benefits are highlighted, but one also gets a sense of students’ real personal lives and challenges. For more great examples of effective student testimonials, please see the slide deck below. A design sample from the Noupe blog post. Consumers shopping for all sorts of products and services now look for peer reviews before they buy, especially when it comes to purchases they can’t see or touch, such as an educational programme in another country that they may not be able to visit before applying. The success of such sites as TripAdvisor, which now boasts more than 260 million unique monthly visitors, is proof of the demand for objective advice from peers, especially in the globalised marketplace for services. Given statistics like the Noel-Levitz ones we quoted at the start of this article – which suggest student testimonials are not yet being used enough – and the increasing competition across the board to recruit international students, it seems clear that obtaining more and better student testimonials (and presenting them effectively) should be a higher priority for many institutions. This entry was posted in Africa, Asia, Australia/Oceania, Europe, Marketing, Middle East, Most Popular, North America, Regions, South & Central America and tagged vocational schools abroad, universities with international students, alumni recruitment, college admissions, student enrolment.